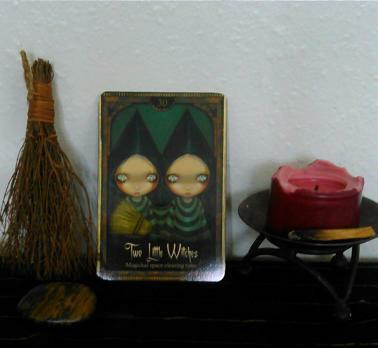 Not only does today marks the the beginning of the sacred Samhain holiday, its also the 1 year anniversary of The Tarot Parlor Blog. My very first blog post was written October 31, 2013 and you can read it here. I’m am very grateful for all the positive responses that the blog has received in its first year of manifestation and that it has allowed me to network with other wonderful tarot people from all over the world. May this holiday season bring us all space for inner reflection and self actualization. Happy Samhain and 1 year blog-versary! Thanks Jess. I hope you had a blessed sabbat as well. Happy anniversary! I am so glad I’ve stumbled on this blog and also like you daily readings blog a lot!